Is WISP the wireless nirvana everyone has been waiting for? 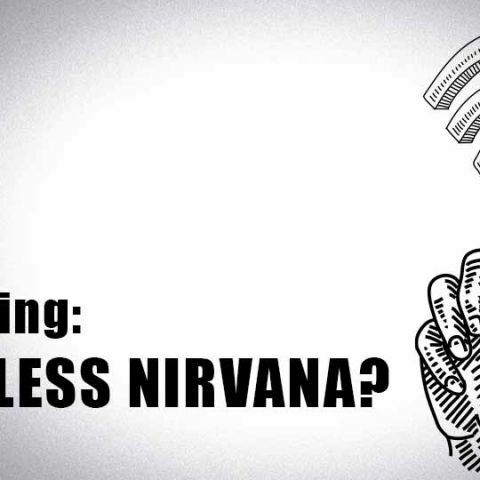 An oft-abused term in the technology arena, to achieve ‘wireless nirvana’ meant making wired electronic devices stay on and functional without wires. How naive of us that this gradual shift alone would rid us of our gadget trials and tribulations, help us attain nirvana. Pfft! Back then were the early days of the digital age. We were easily swayed by delusions of technical grandeur. We were too hasty in patting our backs by merely eradicating wires than to comprehend the limitations of two things that propelled the wireless age – radio waves and battery – the latter of which continues to be the catalyst of many shattered wireless dreams. Not anymore, though. Not if WISP can help it. Well, imagine a microcontroller – a chip – that for all practical purpose powers itself without any batteries or plugged in power source and be receptive to programmable wireless instructions. Sounds something straight out of a futuristic sci-fi movie, isn’t it? Not at all. This is the power of WISP, a breakthrough protocol that couldn’t have come any sooner to rid us off our wireless woes! The topic of this article – you guessed it – is about looking into what WISP (wireless identification sensing platform) is all about and just why it is that it promises to hold so much potential as far as revolutionizing wireless communications in the coming years. The WISP project grew out of an Intel Labs initiative nearly 12 years ago from the company’s office in Seattle. What began as a project to make iterative breakthroughs to steadily progress the cause of wireless communication, J.R. Smith, a lead researcher on the project, describes how it quickly became “the first far-field RF powered sensing and computational platform.” Those early days of WISP weren’t without successful failures and lots of learnings, according to Smith, who recounts how he inducted more researchers under him from the University of Washington (in Seattle) and even went all the way to fabricating an early chip on which to implement the RFID tag through the Intel Shuttle Program before it was shut down. In 2009, WISP was mentioned under the archive of innovation at Intel. Google looking at wireless broadband Internet prospects in India? However, the project wasn’t completely on the backburner as far as the University of Washington was concerned, and with the help of TU Delft (the largest and oldest public university of technology) in the Netherlands, they’ve really unearthed some breakthroughs in WISP. So far, RFIDs have always needed two things to work -- power (either in the form of battery or plugged into AC source) and wired connectivity for it to be reprogrammable in any way. And the same holds true for other wide-scale deployments of similar wireless protocol. Both these physical hurdles of battery and wired connectivity are finally being overcome through the latest iteration of WISP, according to new research breakthroughs coming from the joint work of both the American and Dutch university students and faculty. No longer based fully on the Intel architecture, the RISC-based 16-bit microcontroller that’s modestly clocked at 16MHz won’t break any performance benchmarks, but it’s a chip that’s several times more powerful and larger than anything researchers have tried to power and program using only radio waves (or ambient energy) so far. 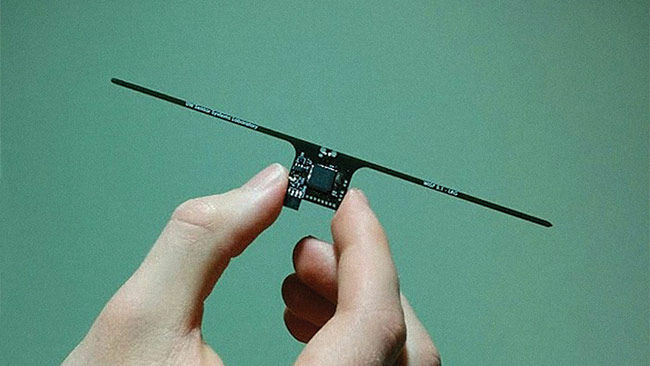 That’s right, WISP chips are the only ones in the world that can be wirelessly reprogrammed, a feat that other RFID devices that power themselves off stray radio transmissions like television and mobile base stations still cannot do. And for that fact alone, this communication breakthrough is of great significance. How does it work its magic? Well, the group of researchers from America and the Netherlands who developed the WISP5 sensor attribute the platform’s success and its ability to operate at such infinitesimally small packets of energy to the use of a ferroelectric RAM module. How’s it crucial? In comparison to NAND modules that make up conventional RAM modules from pretty much every device you can think of – smartphone, PC, gaming console, router, laptop, etc. – a Ferroelectric RAM or FRAM module requires just a tiny fraction of energy, which is about a hundred times lesser. And in the realm of ambient energy powered electronic devices, this is again an important breakthrough. Where earlier RFID sensors relied upon dedicated batteries or power sources to be in an always ON state or turn ON (based on RF input) to establish a mode of communication or to simply just receive instructions and act upon them, now with WISP5-enabled sensors you don’t need them to be connected to any power source or have them hooked into a battery module. What’s more, the FRAM inside them will ensure incoming (or downstream) wireless data linkages operate at nearly negligible power draw. In fact, because the WISP5’s FRAM module is so darn power efficient, the chip receiving external wireless instructions can power on instantly, download data, power off in a blink if incoming signal wavers, then power back on in a zap and continue from where it left off. Also, a critical component of the work credited to the TU Delft part of this WISP team is when they came up with a very fast downstream data transfer mechanism dubbed Wisent on to the WISP chip. In their findings, they realized that a lot of work had gone into optimizing data upstream from an RFID tag and its corresponding client device. Curiously, however, the TU Delft found downstream data transfer from a client device to an RFID tag (similar to a WISP device) severely clunky with a lot of room for improvement. And that’s exactly what they got busy with. The research team attributes the novelty of Wisent to its ability to adaptively minimize the transfer times at varying channel conditions between the RFID tag and client device. Their experiments show that Wisent allows data transfer up to 16 times faster than a baseline, non-adaptive shortest frame case, found in most RFID implementations. Based partly on this, the team was able to successfully demonstrate how Wisent enables wireless CRFID (computational RFID) reprogramming, demonstrating the world’s first wirelessly reprogrammable (software defined) CRFID. Not just that, although dimunitive and tiny, WISP-enabled chips have been implemented in complex cryptography and security scenarios also, giving it a crucial integrity layer which is essential for real-world deployments of WISP-enabled devices and solutions in the coming years. A chip that can doesn’t need external power sounds like Sci-Fi, yet here we stand! Promising no doubt, but we need to put things into perspective about WISP5. If you thought you’d have WISP5 toting smartphone and smart home sensors come CES 2017 or MWC 2017, time to curb some of that enthusiasm for now. There’s a long road ahead before WISP comes to an off-the-shelf device which you and I can purchase. And that’s exactly where WISP’s going to have an immediate impact. In the world of sensors, deeply embedded systems for extremely long-term deployments, WISP-enabled devices will make a lot of sense to a lot of companies. The breakthroughs achieved in WISP-enabled chips hold a lot of promise for the Internet of Things wave of devices. Right now, probably a WISP-enabled sensor can’t be more effective for sensing things like temperature, orientation, and acceleration, besides doing some low-intensity calculations on-the-fly inside a Fitbit-like wearable device. In time, the scale of computational prowess will only grow, and WISP-enabled devices will be more prevalent. But this is looking really far into the future. Just think about it. 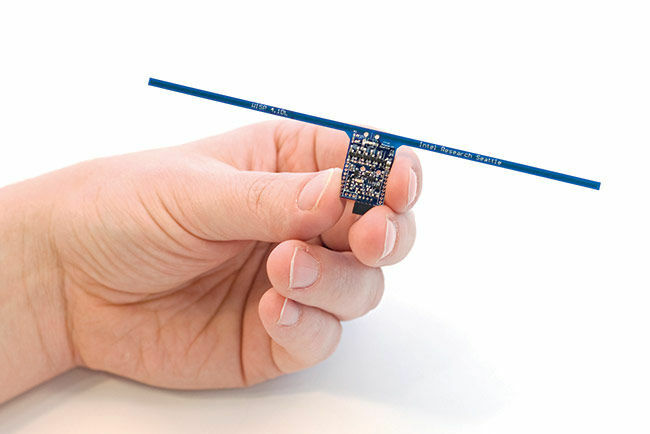 In the field of healthcare, where deeply embedded sensors like pacemakers for the heart and other sensitive organs is concerned, WISP-enabled tiny, passive nodes can be inserted. Unlike existing pacemakers which need to be replaced only through invasive surgeries, these future WISP-enabled pacemakers could be reprogrammed and powered effectively through just radio waves. Similarly, in the housing and infrastructure sector, WISP-enabled sensors can be deployed in structural beams of buildings to monitor the structural integrity of a building without the need of complicated plumbing for routing wires or large-scale battery installations on site. And wouldn’t it be great to have a smartphone someday that isn’t constrained to the Li-ion battery it bundles with it and can work, in some small capacity, completely through wireless power harvested from radio waves? The possibilities are truly mind-boggling, if you think of it. The researchers working hard on WISP and Wisent want to realize the dream of truly wirelessly reprogrammable software-defined battery-less computers (not just sensor nodes) whenever and wherever we want. For their sake and the rest of us digital natives, we hope that day is not too far away in the future.